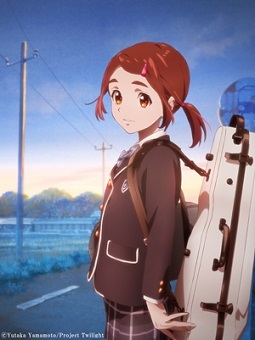 The crowdfunding page of Yutaka Yamamoto's previously announced anime movie Hakubo has revealed new key visual, staff, and cast members. The cast members' roles have yet to be revealed. Japan really can't go by a year without their favorite idol. Got any problem with that, fgt? How about checking the profile of who you're talking to? ey fgt? Profile views? what are thoooose? But regardless, I'm going to explain it to you... as I should've done in the first place. I'm not hating on HanaKana(she's one of my favorite seiyuu. ), I merely pointed out that Hanazawa has been everywhere for the past years. Reminds me of Kimi no na wa.Will watch this. I do like HanaKana but im starting to be a little bit annoyed by her being in almost everything now. This looks pretty neat... Hmm, well I'll go and give it a go when its set. This looks really cute! I'll watch it. I like the character design. So that is a plus. And based off what little it shows I think it seems interesting enough. Not to mention it is a crowdfunded thing. Which always makes something interesting, but I know some won't share that interest. Also personally don't see the hate for Kana Hanazawa. Sure she is popular, but meh who cares.